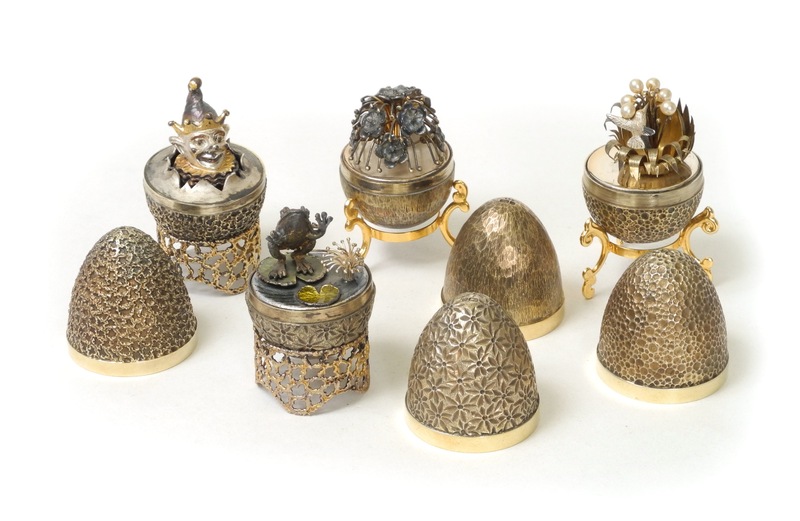 A stunning group of four Stuart Devlin silver gilt novelty eggs, c. 1970’s. All fully hallmarked and edition numbered. A silversmith who needs no introduction, Stuart Devlin is now considered to be one of the greatest living craftsmen working in silver.